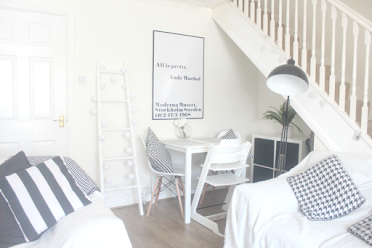 I recently shared my 52 week money saving printable with you all and I noticed many of you mentioned you loved the idea of the challenge but wouldn't be able to afford the higher weekly payments towards the end of the year. 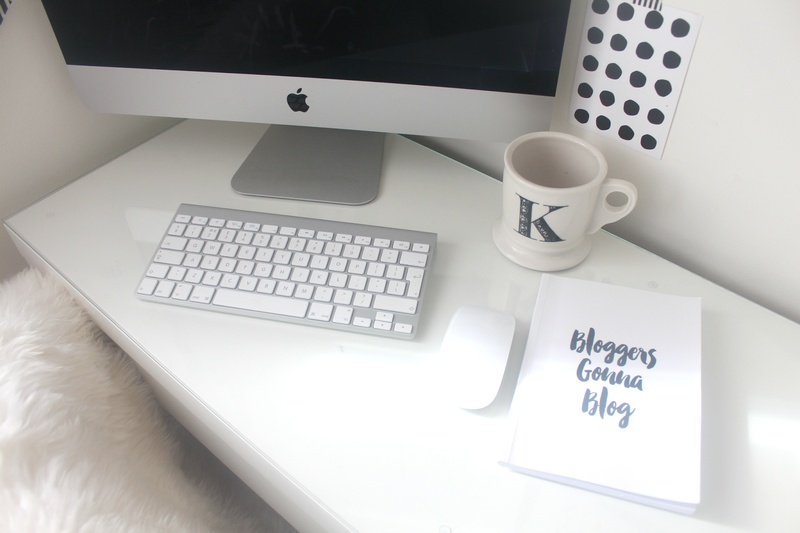 So I give you the 365 day money saving challenge! 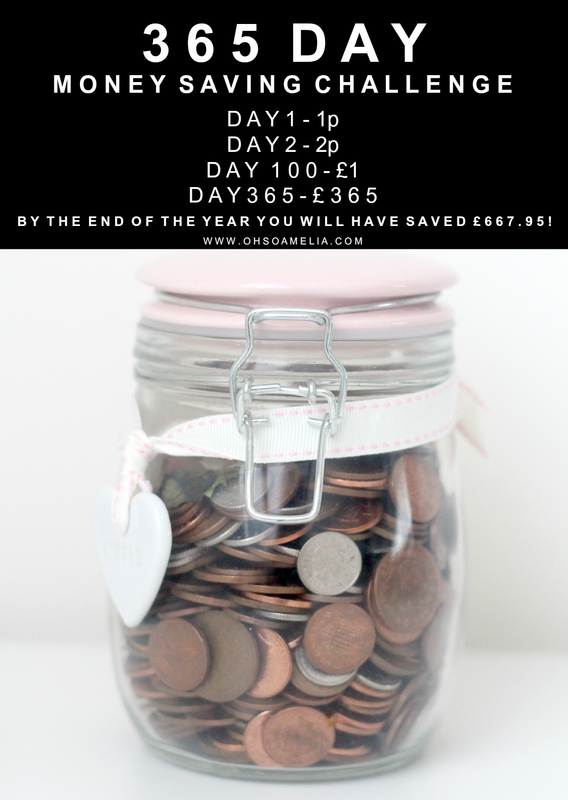 I remember coming across this challenge a few years ago and even gave it a go myself but quickly gave up as I kept forgetting to put the money in so I have created a 365 day money saving challenge printable so you can cross off each day meaning you won't forget to do it. You could place the printable on your fridge or somewhere you will definitely see every day. You could even set an alarm if you like. I've decided to take part in this challenge as well as the 52 week money saving challenge. The idea of this challenge is to make it easier to save and not put you out of pocket if you can't afford to save a higher amount. You start by saving a penny on day 1, 2p on day 2, £1 on day 100 and £3.65 on day 365 or as it's a leap year this year you could even save for 366 days. 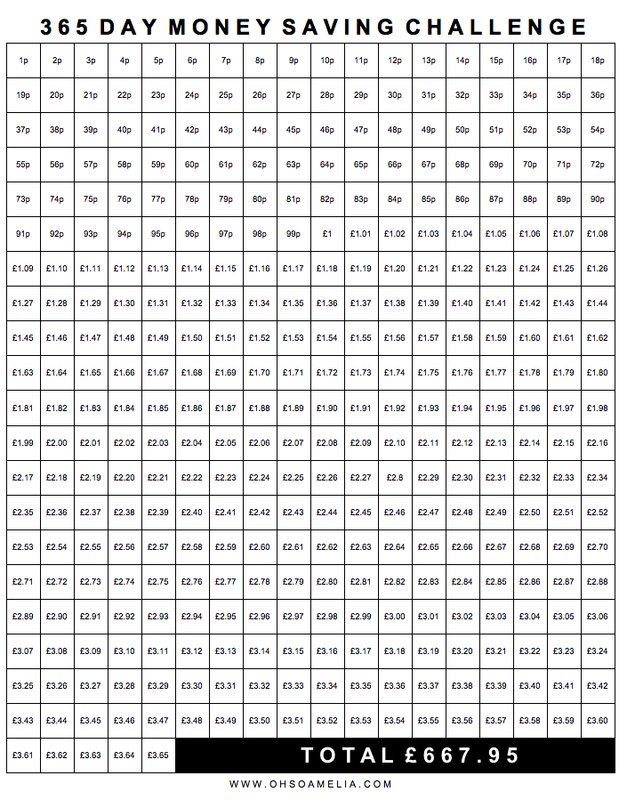 By increasing the amount by 1p each day you will end up with £667.95 at the end of the year. You could even start by saving the higher amount first so your not stuck for cash in the run up to Christmas and will be easier to save earlier on. Or you could even choose your amount each day depending on which you can afford and what loose change you have in your purse then just cross off each one as it's completed and then choose a different amount the next day which hasn't been crossed off. Each day when you get up, when you make your breakfast or are about to leave the house put the amount into a jar and watch your money increase daily. Because its loose change you won't really miss it and it will soon become a habit. Think of it as you are paying yourself if you like. You could even transfer it from your bank account daily to a savings account if you don't tend to have loose change on you or start by using a jar of loose change that you already have to keep you going for a couple of weeks or months. I'll be using a money tin which you need to open with a tin opener which will stop me from dipping into it. You can find these in most 99p shops and then you have a penny for the first day to get you started. Click the image above to print or click here to download the printable. If you have attempted the 52 week saving challenge in the past and failed or know someone who has then you should consider trying this challenge. £668 will come in handy for Christmas or an emergency fund. You don't even have to start this challenge at the beginning of the year, you can start it any day you like as long as you continue if or 365 days. 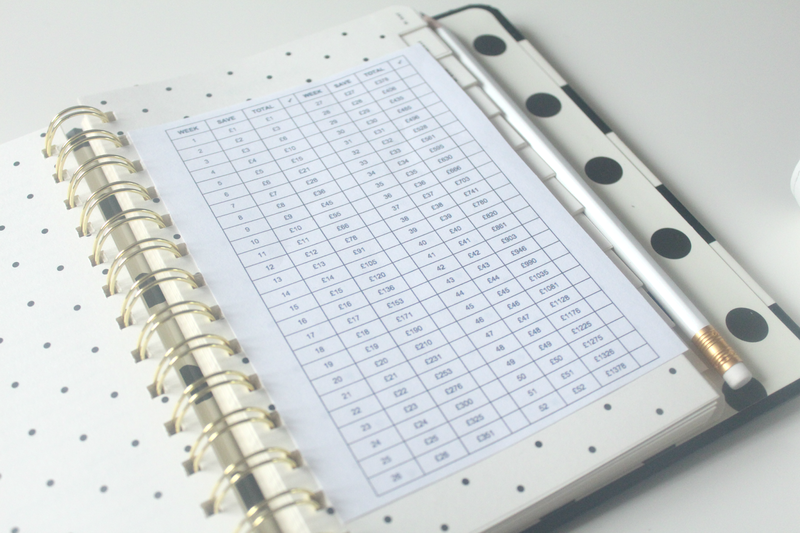 Will you be trying the 365 day money challenge? I don't deal with loose change so I'm going to do this challenge online through my accounts. How exciting! I really like this idea, but I know that I won't keep it up once I start. Mainly because I don't have loose change so it would be online.. but also because I will probably forget once it gets to putting away £3ish a day. But thank you for sharing, I do love the concept! There are 366 days this year so you'll be adding another 60p on 29th February. It's a leap year so you'll be adding £3.66 on 31st December due to there being a 29th February this year (2016) so the total you'll save this year will be £671.61. All the better! This is a fab idea and something that is quite achievable. I love the printout. It's never easy at Christmas so saving these smaller amounts would be a fab idea. Thanks for sharing. This is a brilliant idea and something that I think we could definitely achieve. We've a few jars of loose change which I think will cover a couple of weeks. Yes! Im taking part in this one! What a great idea. So easy to just pop in a few bits of change from your purse each day and have a great big lump at the end of the year! Another great money saving idea and the printable will be really helpful. I just dump my loose change in the boys piggy banks! Great minds, I was googling this at the beginning of the week! Such a good idea to save up for something fun! We have a change jar at the moment but we both raid it when we need money for netball/football etc so a sealed jar would be a must when we do this. Are you just doubling it up as you go ?? LOVE LOVE LOVE this idea ... I do not deal with cash very often but so what, time for a change. I am going to buy me an envelope, bedazzle it and start saving!!! Thanks for sharing. The code is a standard format of Bank Identifier Codes (BIC) and is used while transferring money between banks, especially for international wire transfers. Great Great idea, but please can some one help me with the maths.... its Feb 5th and I want to start this today....how much do i need to put into a jar to get on track plz? I started this in 1st Jan. Got 2 tins, a book and wrote down 1-365 for each tin I save up all me 1p,2p,5p,10p and 20p weekly (live on a very tight budget) on a Sunday I see how much I have and divide between two tins writing down the amount in my book. As I don't know if I'm going to have 57p for example that's day 57 already done. Tin 1 has now got 12.75 and tin 2 has 12.73. Also saving to go to the Philippines to see my dad so 2 tins would help with the spending money. Brilliant idea. I'm well into this challenge at the moment! Glad I am not alone in keeping up with the challenge. A tip for next year though:- I did it in reverse, thinking that I do little in Jan/Feb and am still eating food left from Christmas so shopping bills lighter, so the larger amounts more affordable. I have £ 536.41 so far, I send the money weekly from spending account to savings account. I will draw out beginning of December what I have and use for Christmas and let the last pennies of December carry forward to next year. I will also use it as a set budget for Christmas too, as I think I will save even more with a budget in mind. Can anyone tell me how much should be in your jar right now? I want to know I'm on track. So far, (July 23) I have $115.15, but sometimes I round it up when I put it in. Download and install NBA 2K18 absolutely free on PC NBA 2K18 this day including NBA players, and so far more. At the middle with the iTunes Preferences iTunes App begin mounting the program. A timely home.